Here’s the latest roundup of recent links, new publications, and news related to the New York School of poets. (For my most recent roundup, see here). 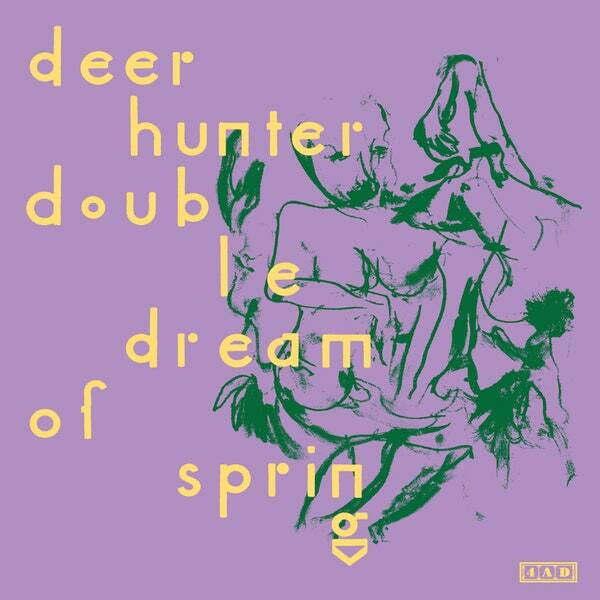 — The indie band Deerhunter released an album titled Double Dream of Spring, a title which evokes both John Ashbery’s masterful fourth book and the Giorgio di Chirico painting to which Ashbery’s title alludes. Sandler must have liked being called “the balayeur des artistes” – or “the sweeper-up after artists” – by O’Hara, as he alluded to the phrase in the title of a recent memoir: Swept Up by Art: An Art Critic in the Post-Avant-Garde Era (2015). Reading Motor Maids across the Continent is like sitting in a car that has been commandeered by a driver who likes to exceed the speed limit. He does not want to scare you so much as enthrall you, and that is exactly what he does, time and again throughout the book…It is luxuriantly bizarre in beautifully precise sentences. He moves from the frivolous to feeling with such smoothness it takes your breath away. — Another Ashbery sighting: a new book of literary criticism by John Steen uses a subtitle that quotes the last line of one of my favorite Ashbery poems, “A Blessing in Disguise”: Affect, Psychoanalysis, and American Poetry: This Feeling of Exaltation. — Lovers of My Orchards: Writers and Artists on Frank O’Hara, a new collection of essays devoted to O’Hara edited by Olivier Brossard was recently published in France. It’s a big, rich collection of essays and reflections by a long list of contemporary poets and artists, including Bill Berkson, Lee Ann Brown, Thomas Devaney, Vincent Katz, Geoffrey O’Brien, Eileen Myles, and Anne Waldman. I will probably write more about this book at a later date, but for now, you can find details here. — Alexandra. J. Gold has published an interesting piece which brings together Kim Kardashian and Frank O’Hara, specifically connecting an image of Kardashian with the notorious portrait Larry Rivers painted of Frank O’Hara, naked and wearing boots. — Nick Sturm has posted a treasure trove of a digital project — an archive of fully searchable facsimile PDF editions of the magazines co-edited by Alice Notley and Douglas Oliver, Scarlet and Gare du Nord (10 issues total). The issues are now available for download here. Sturm has also published a valuable essay on the journals, their importance to Notley’s work, and their significance and aesthetic vision. As far as an academic book can be, Kane’s is punky and irreverent. His writing is of a piece with his subject matter, and is often witty or demotic, his arguments ranging from the casually observed to the borderline polemical. This, combined with his extensive and meticulous research, which includes fascinating archival material and first-hand interviews with many of the figures under discussion, renders Do You Have A Band? both intellectually rigorous and profoundly enjoyable. It is also an important interdisciplinary addition to the growing body of exciting work on the New York School. Mitchell is currently in the spotlight as both a market darling and a scholarly subject… A few years from now, a new generation of fans will have the opportunity to enjoy a comprehensive presentation of Mitchell’s work. In 2020, the Baltimore Museum of Art is mounting a major retrospective of the artist, which will travel to the San Francisco Museum of Modern Art and New York’s Guggenheim Museum. The show promises to increase scholarship and broaden Mitchell’s audience. The first collection in fifteen years from a poet whose first book Stephanie Burt called ‘very personal, very appealing,’ Shell Game by Jordan Davis presents a series of puzzles of feeling and mazes of history where the person speaking disappears into the world, and vice versa, without warning. Starting against the backdrop of New York in 2001 and working back to the words that came into the English language during World War II, Jordan Davis’s second book teleports to Turkey in the middle of the century in a series of poems reimagining the work of Orhan Veli Kanik as a New York School poet, then returns to reflect on the precarious present in which everything is at incredible risk, and trying to laugh about it. — Last year, I wrote about the death of Vincent Warren, the ballet dancer and dance historian, who was the love of Frank O’Hara’s life. There is a new documentary about Warren’s life and career, “A Man of Dance,” which was screened in July at Lincoln Center in New York. You can see a brief trailer for the film here. — Bernadette Mayer has a new, official website, which you can find here. Porter’s subjects were primarily landscapes, domestic interiors, and portraits of family, friends, and fellow artists, many of them affiliated with the New York School of writers, including John Ashbery, Frank O’Hara, and James Schuyler. Many of his paintings were set in or around the family summer house on Great Spruce Head Island, Maine, and the family home on South Main Street in. Porter died at 68 in 1975, and his wife, the poet Anne Elizabeth Porter, died at 99 in 2011. This entry was posted in Alice Notley, Anne Waldman, Bernadette Mayer, Bill Berkson, Bobbie Louise Hawkins, Criticism, David Lehman, Douglas Oliver, Eileen Myles, Fairfield Porter, Frank O'Hara, Geoffrey O'Brien, Irving Sandler, Jane Freilicher, Joan Mitchell, Joe Brainard, John Ashbery, John Yau, Kenneth Koch, Kevin Young, Larry Rivers, Music, NY School Influence, Robert Creeley, Robert Dash, Ron Padgett, Roundup, Thomas Devaney, Vincent Katz, Vincent Warren, Visual Art. Bookmark the permalink. You might note as well that Sandler’s earlier memoir, published in 2003, A SWEEPER UP AFTER POETS (Thames and Hudson), is also a great read and of course, another reference to the ‘balayeur’ of artists.